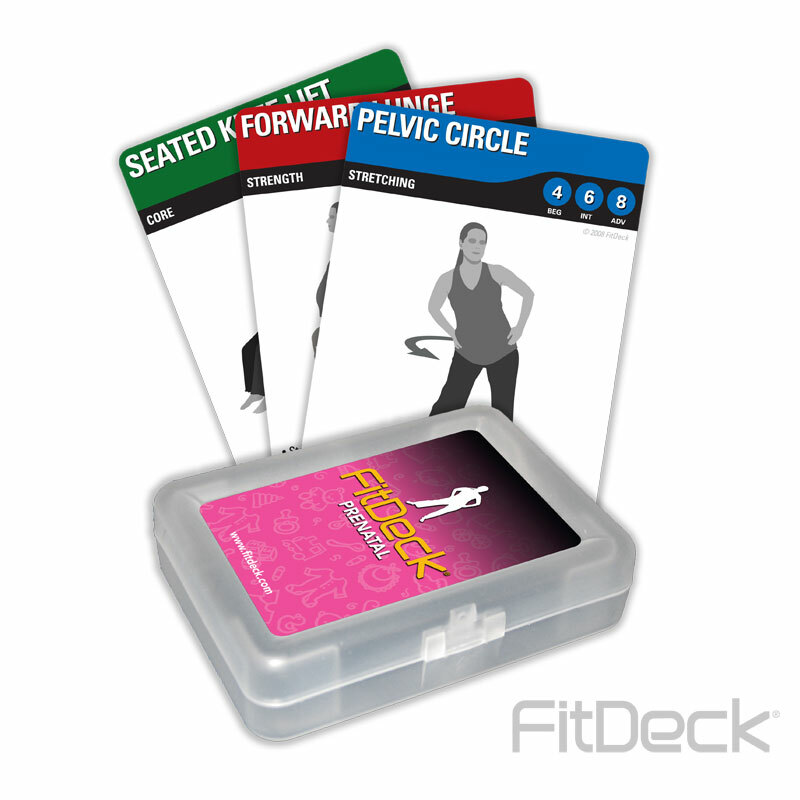 FitDeck ® Prenatal is perfect for expectant mothers who want to prepare for the physical challenges of childbirth. Contains illustrations describing 50 flexibility, strength, and core exercises. Cards call for basic body movements that require no equipment. Includes proper stretching and breathing techniques. Technical Consultant: Cathy Cram, M.S., Exercise Physiologist (Prenatal).